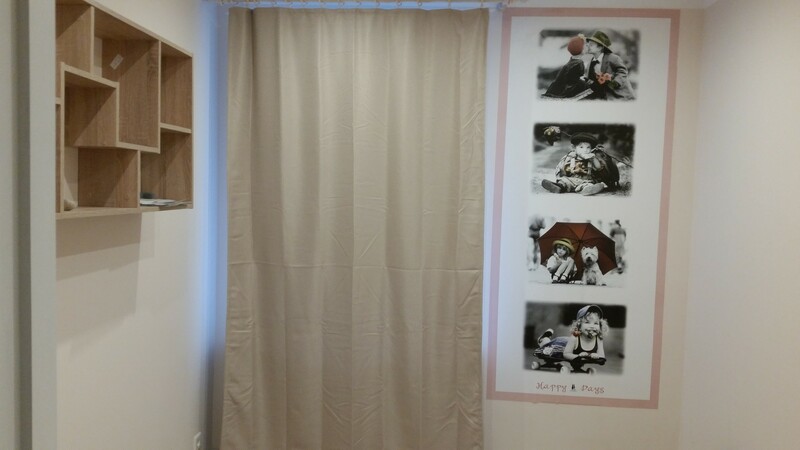 3 room appartment at Riga center with everything you need for studying and working. Windows to the silent yard. One bedroom with large double bed, second bedroom with 2 single beds. Living room with big and confortable sofa bed. Bathroom with bath tub. Kitchen, table, chairs, bath, toilet. Fridge, microwave, kettle, electric hot plate. Everything is completely new. Fully furnished. All necessary kitchenware - plates, glasses, pot, flatware. Pillows and blankets are available too. Unlimited very fast optical wi-fi. Washing machine. Close private territory and security system. Very good Infrastructure. Public transport infront of the house. Old Town 5 minutes walk away. Around supermarket and cafe, Origo and Stockman, Forum cinemas, Central rail and bus station. Price 680 EUR per month + bills (~60 EUR/month). Max 4 persons. Free parking. No smoking place.